Channeling Adversity to Become #1 in the State - Marc Motors Nissan & CBC! Channeling Adversity to Become #1 in the State – Marc Motors Nissan & CBC! What does it take to be the #1 dealer in your state? Hint: It’s not shiny marble floors and crystal chandeliers! Just ask Marc Motors Nissan in Sanford, ME. Going into 2010, Marc Motors Nissan was having trouble moving the needle. The store hadn’t been updated in many years, and its location was off the beaten path — nowhere near its much more advantageously-placed competition in larger population centers with lots of drive-by traffic. Marc Motors Nissan knew they needed to do something. Once they made sure all of their internal processes were working smoothly, Marc Motors Nissan hired CBC Automotive Marketing. CBC immediately went to work refreshing Marc Motors Nissan’s brand and reevaluating their media mix. We then launched a strong multi-platform campaign, turning their perceived negatives into positives by positioning the store as a destination for car buyers through creating a perception of low-overhead value. 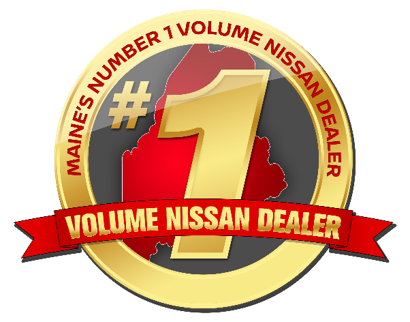 In 2011, Marc Motors Nissan became the #1 volume Nissan dealer in Maine, a title they’ve held for 6 of the last 7 years! They’re also the #1 Nissan customer retention dealer in the United States for 2017! CBC is proud to be a small part of Marc Motors Nissan’s large success!